At a gala awards ceremony held on the rooftop of the Zeitz MOCAA (Museum Of Contemporary Art Africa) in Cape Town, the inaugural Grand Prix and Category Winners of the Africa Architecture Awards were announced on the evening of Thursday, 28 September 2017. 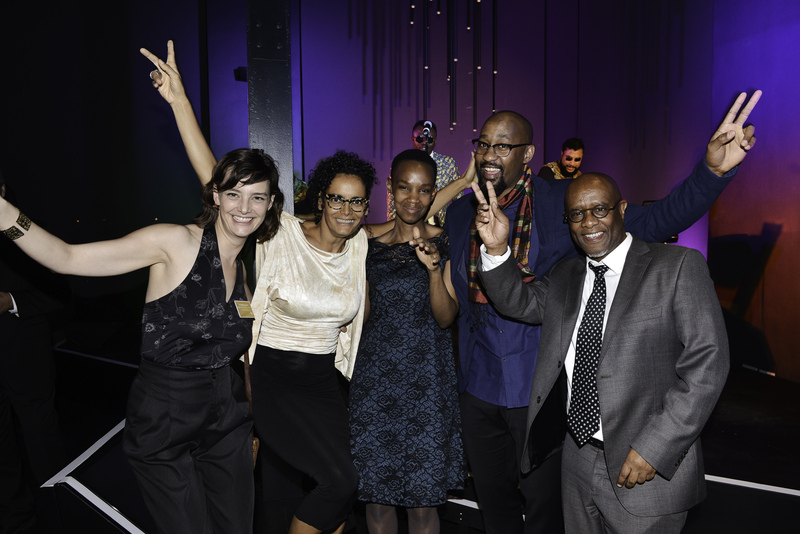 At a gala awards ceremony held on the rooftop of the Zeitz MOCAA(Museum Of Contemporary Art Africa) in Cape Town, the inaugural Grand Prix and Category Winners of the Africa Architecture Awards were announced on the evening of Thursday, 28 September 2017.Over 130 VIP guests were in attendance at this glittering event, including the Consul-General of France in Cape Town, Mr Laurent Amar, the Chairman of the French South African Chamber of Commerce and Industry, Philip Geromont, and Dutch Consul-General, Ms B P E Horbach. The 21 shortlisted finalists, from an entry pool of 307 entries, were flown into South Africa from across the continent and the world, and hosted by awards founder and sponsor Saint-Gobain. • Emerging Voices: The Exchange Consulate: Trading Passports for Hyper-Performative Economic Enclaves, South Africa - by Nigerian student Ogundare Olawale Israel of the Graduate School of Architecture, University of Johannesburg. The Grand Prix was awarded to the project that best describes the ultimate objective of the Africa Architecture Awards, which is to inspire the future of African architecture. The Grand Prix winner received both a bespoke trophy and the cash prize of USD$10 000. Umkhumbane Museum, South Africa - by Choromanski Architects was named the overall winner. Following the awards ceremony on the Thursday evening, a thought-provoking public colloquium titled 'Celebrating Architecture in Africa' was held on Friday, 29 September 2017 at the University of Cape Town. With a speaker line-up of 21 specialists from across the world, the free event, which was also supported by Saint-Gobain, provided a platform to discuss the awards in more detail and explore architecture within the African context. Providing access to information about architecture in Africa and ensuring that this knowledge is shared widely and freely to the continent is a primary and ongoing aim of the awards. This is evidenced in events such as the colloquium, as well as publications such as the Africa Architecture Awards’ digital portal, www.africaarchitectureawards.com. Documenting all 307 projects entered into the awards via video, images and text, this digital asset now stands as one of the most vibrant and extensive repositories of contemporary African architecture to date.